Workman Publishing Company, 9780761180517, 28pp. Dan Kainen is an artist, designer, and inventor living in New York City. 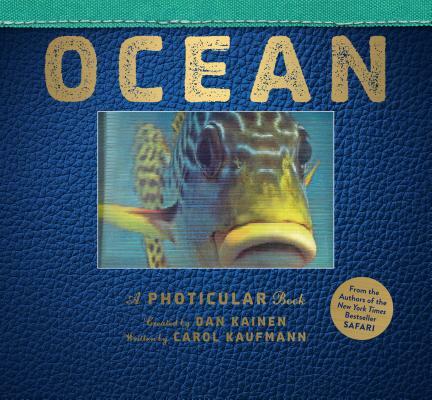 He is the creator of the bestselling Photicular books Safari, Ocean,Polar, Jungle, and Wild. His website is DanKainen.com. While working with some of the pioneers of holography, Dan created a special spotlight that was used by Soho’s Museum of Holography to light holograms. The related field of holography led to Dan’s interest in lenticular art and, in turn, after nearly a decade of research and experimentation, to the creation of his “Motion Viewer,” his third patent in that field and the inspiration for Safari and the other Photicular books.